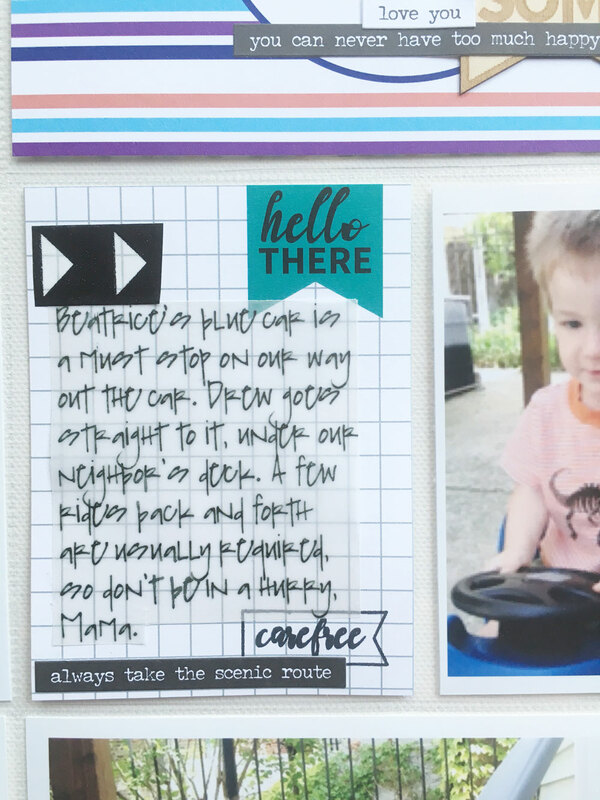 I'm sharing a simple Project Life Layout today with the new May Take 10 Kits. I had several fun pictures of my youngest that morning in May. 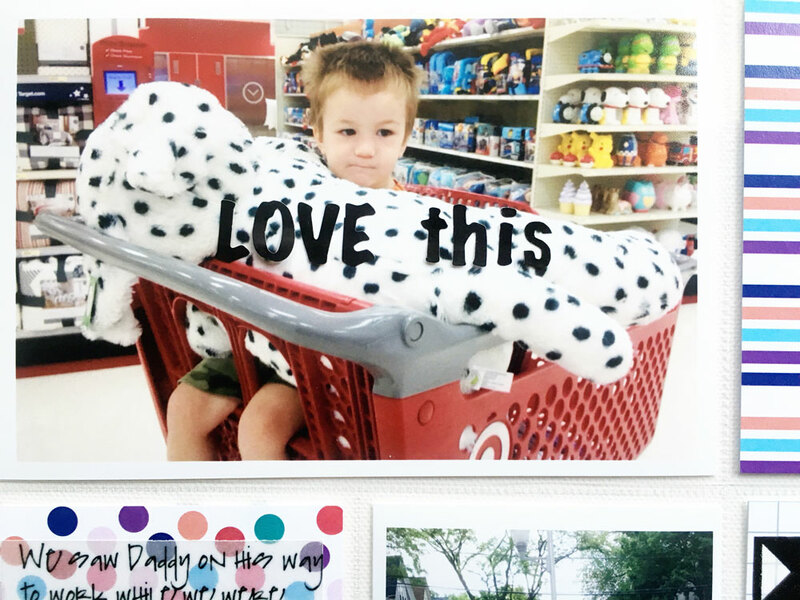 I used my 2" Fiskars Punch on a close-up of my son with the giant dalmation lovie that he had to hold in the cart at Target. I really thought I was going to be walking out of the store with that huge puppy. I paired it with one of the exclusive wood veneers. I really like these veneers because they are very thin, so don't add a lot of bulk to your pages. 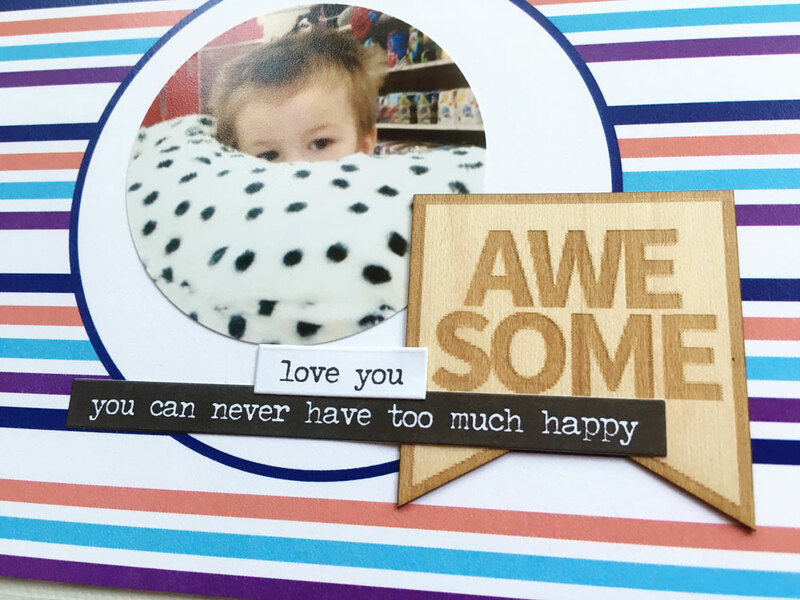 Those word strips are by Tim Holtz. I love that I captured this moment. I like using filler cards as backgrounds for journaling. I chose to use vellum here so the pattern could show through. The washi is from Stampin' Up. I also used another Tim Holtz phrase sticker here. 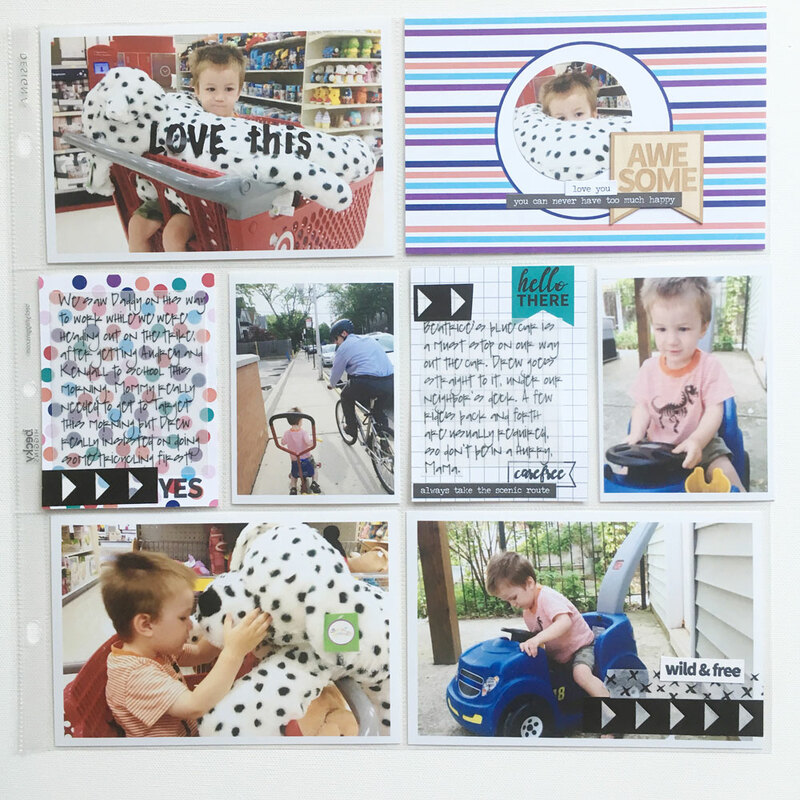 And the "Carefree" and "Yes" stamped images are from the exclusive set included in the May Pocket Kit. The alpha stickers in the kit were great right over this photo with the spots! !